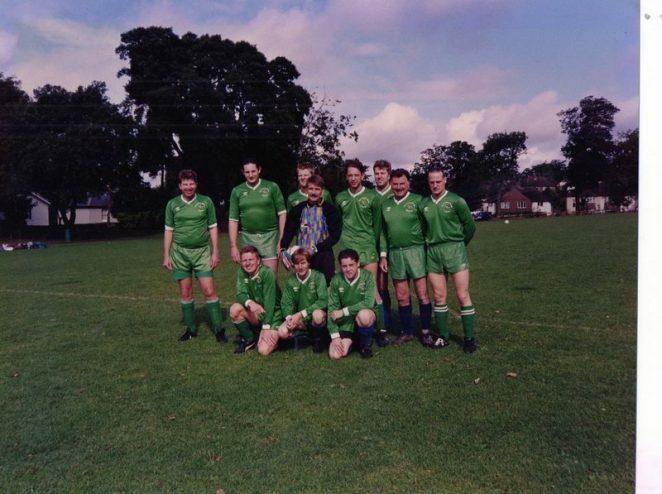 These are pictures of the Constant Service football teams, who played for the pub in the 1970/80s. Before that time, I played for Fratsom Rovers for many seasons; still at the Constant Service. We played in the Sussex Sunday Football League. Happy days! Do you recognise yourself or anyone else? Do you remember playing or going to the games? If you can share your memories with us, please leave a comment below. Hiya Bluey, blimey mate those faces bring back some memories. When was that top one taken? I can see that its on Lower Bev’s pitch at the far end. Spent some hours diving about in that net because I played for Lower Bev from 82 to 85. That must have been taken 86/87 and some great mates. What a smashing bloke Tony Humphries was. I have still got that yellow goalie shirt in a drawer under my bed ;). They certainly were happy days and thanks for posting. My first introduction to the Sussex Sunday League was in 1969 when I used to support Tamplins United. My friend’s dad was the foreman at the brewery and we used to go to most games. From memory they were in division 8 or 9 and they were a good side mostly made up of the delivery men so as you can imagine they were big fit blokes who could come out of a tackle without a crease in their shorts! In the early 70s my brother set up a team called Preston Park Academicals, mainly made up of his school friends from the Secondary Technical school in Hanover Terrace and I sometimes got a game. I think they are still going but with a different name. When I was 20 we formed a team from the Lord Nelson pub in Trafalgar Street, it was our local pub in those days so the team was made up of a few locals and friends of friends. We played a few friendlies in 1977 in the close season with some of the teams from the Sussex Sunday League. We tried to get into Division 14 and went along to the Sussex Sports Centre one evening where about 40 other teams were hoping for the same. My brother was very good at keeping books and we had all the correct accounting books that had all the expenses and subs etc. Some of the teams that night only had scraps of paper and to our surprise we didn’t get elected in. I have to say from a personal point of view that I was glad as it was quite brutal playing at that level, I was finishing most games with blood covered legs and as soon as you got the ball you were usually flattened by the opposition and these were only friendlies! I have to say you had to be dedicated to the cause as it was pretty bleak on a wet Sunday morning in the cold going to some awful pitch which was usually the case in the lower leagues. So I salute all the players over the years who kept at it and gave up their Sunday lie-in. I used to turn out for Brighton Explorers during the early eighties in Div 10 or 11. It was fun most of the time until our coach and tactical genius – Roger Tugwell – went strangely quiet about the opposition the night before the game (mostly spent in the Crown & Anchor, Preston). It usually signalled a dire bloodbath Sunday morning with a team of thugs. Names from those days were Ian Smith, Chris Dawson, John Questier and Nick Tate. I retired from 11 a side in 1982 but kept up 5-a- side until breaking an ankle in 2004 and still really miss the game. Hi Paul. I played in the Sunday league from the day it first started, Swanborough Athletic, Whitehawk Athletic, Fratsom Rovers, E and A, and the Constant Service. 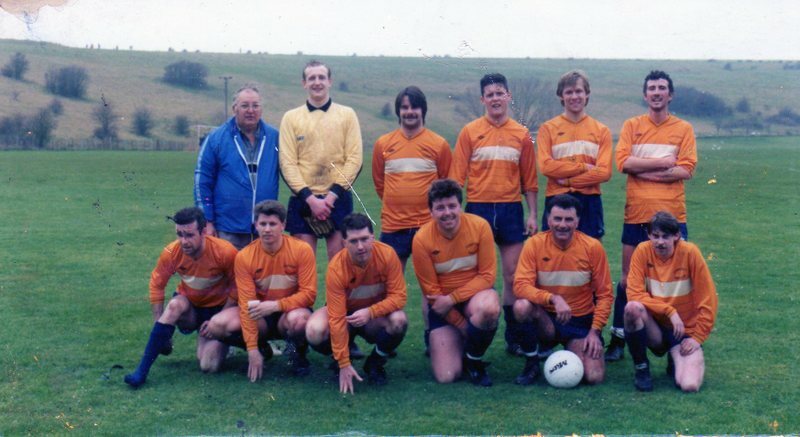 I have run a team with Ernie Pattenden since 1984, Inpulse FC. Two seasons ago I won a life-time achievement award for 50 years service to the S.S.F.L. I bet I bumped into you one time or the other. Hiya Bluey. Wow, that brings back memories . I totally forgot the orange kit. I went past the Shay the other day and was thinking about you . I hope you are well and all is ok.
Hi Kevin, great to hear from you. I’m very well and hope you are. I still run a football team, Inpulse FC. Do you want a game? We play at Happy Valley. Come over one morning when the season starts. Funny how it turns out that Rogers is our mate. I’ve been friends with him for years. Look at the green photo. I remember when I used to follow Tamplin’s United around 69/70 that we used to travel all over Sussex to watch them. We used to go in my friend’s Dad’s car which was an old Morris Minor. As they were in one of the higher leagues they were usually given some decent pitches to play on and as I’ve said before they were pretty tough characters so some of the matches were quite physical depending on the opposition. After the game we were usually taken into the dressing room to talk to the players and as my friend’s Dad was foreman of the brewery he would usually allow for a couple of crates of beer to go with them. On many occasion he used to say to me “Go on sonny, have one of these and don’t tell your Dad” and hand me a bottle of Tamplin’s light or brown ale. Considering I was only 14 at the time it was quite a treat. Hi, a friend asked me if I knew anything about Fratsom Rovers. I have heard of them as I have a programme of them in a final, but can’t trace where the name came from, where they played or when formed etc. Message for Bluey: I played for Swanborough when I was 15/16. 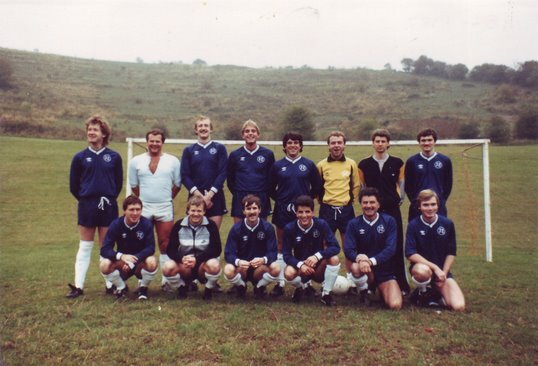 I remember playing at Lewes Prison – scary for me being so young. I think I hardly touched the ball. A few of the spectators were shouting out familiar names of our team (!). I later played for Georgie Gunn’s team in the ‘Premier’ League. We got to the Sunday League cup final played against Wagon Wanderers at H/Heath ground. We won 1-0 but I was dropped for the game in favour Dave Sexton (ex West Ham and Brighton) and former Chelsea and Man United manager. Unfortunately substitutes didn’t exist in those days. Did any of these clubs ever grace the Goldstone in any match and was any form of programme issued?